Resigning from a job is a natural consequence of having a long, successful working career. However, it is not always easy and can feel very awkward. It’s important to take comfort in the fact that going through a resignation has a massive impact on personal and professional growth. Here is our best strategy for quitting your nursing job with grace. 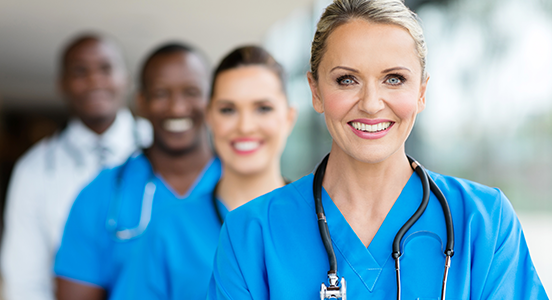 There may come a time in your nursing career that you choose to leave a job. There are two phases that comprise resignation: the decision to quit and the action of doing it. The decision in itself should take a generous amount of time and careful deliberation. Leaving a job can seriously impact you in many aspects - professionally, emotionally, financially – and it’s important to consider the consequences. To start, evaluate your reasons for wanting to quit. It may stem from frustrations or dissatisfaction within your work environment. If that’s the case, you may ask yourself if you have given management a fair chance to make positive changes with honest feedback and suggestions. Don’t make a hasty decision after one bad shift. Perhaps your decision to resign derives from external factors in your life like family dynamics, the need to relocate, or financial burden. Others choose to resign from the internal motivation for change, such as career growth, studying for an advanced degree, or accepting a new professional opportunity. Whatever the reason, be sure to thoroughly consider the advantages and disadvantages of resigning. With all things considered, if quitting your job is still the best option, then be prepared to take care with the process that follows. Be calculated in your next steps. Before you actually resign, be sure to tie up all loose ends for your next opportunity. Finalize a start date for your next job, negotiate pay and benefits, confirm a schedule, and get everything documented in writing. If there will be a gap between jobs, budget your savings accordingly and set specific goals for yourself. Consider the notice you will need to give your current employer. Out of respect for your manager and coworkers, always try to give as much notice as possible. Most legal minimums are 2 weeks, but some hospitals may specify more notice time. Your employer will need time to find a replacement for you, and in the meantime, it’s possible your unit will operate below ideal staffing. This could result in heavier workload or changes in scheduling for other nurses whom you worked alongside. To find a replacement, your manager will need time for the hiring and interview process, as well as time to train the new employee. If you do not give adequate notice, you will not be able to use your employer as a reference in the future. Even worse, leaving without notice could put other nurses or patients in jeopardy. The best approach is to give ample notice (ideally 4 weeks). This will help you to keep a positive rapport with your employer and show respect for your coworkers. When you have chosen a date to tell your manager about your decision to resign, you should schedule a time to meet face-to-face. It is important to set up a meeting beforehand, so you and your manager have a dedicated time and space for uninterrupted conversation. It is okay to send an email or write a letter, but there should always be face-to-face follow-up. Plan what you will say during the meeting ahead of time. You should be clear, concise, and honest about your decision to resign. Be truthful about your reasons for leaving, never lie to your employer. Let them know if it was a difficult decision, and express your sincere gratitude for your most positive experiences. If you are leaving for reasons of dissatisfaction, be professional and constructive when expressing criticism. It’s possible to lose your train of thought or become clouded from emotion during that meeting, so it is okay to jot down a few key points on a notebook to use as a reference if needed. The most important thing is to not burn any bridges. Always show respect and professionalism when you leave a place of employment. Express heartfelt and honest appreciation for experiences you cherish and relationships which helped you grow. Circumstances in life change and better opportunities arise – most managers will understand and be supportive! After your conversation with your manager, you will also need to write a formal letter of resignation for Human Resources. The letter or email should be succinct and accurate. I would like to inform you that I am resigning from my position as [Professional Title] in [Healthcare Organization], effective [Date]. Include your contact information somewhere in the letter. Sign all copies by hand and keep at least one copy for your own reference. Don’t include reasons for leaving or any elaboration in this letter – those are points of discussion for your in-person meeting. 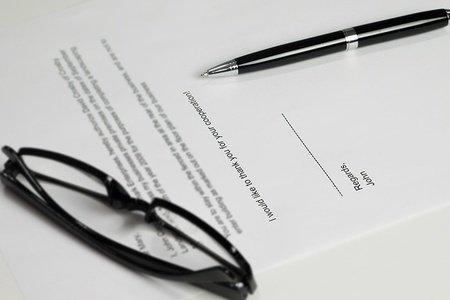 The letter for HR is simply a legal documentation of notice for your place of employment. It is essential to fulfill your commitment as an employee during your last weeks at work. You have a responsibility to your coworkers and patients to take pride and care in your work while you are still present. Do not call in on your last day and leave your team without support. Show you care, be professional, and focus your energy on the tasks at hand. Exit interviews are commonly conducted by HR as an opportunity for finalizing pay/benefits, returning identification badges, and collecting honest feedback as a former employee. Although the comments are processed anonymously, only share honest and constructive criticism which can be used for positive changes – nothing malicious or petty. You may choose to collect manager and colleague information for references in the future. It will always help your career to maintain professional connections after you leave. Thank the people who gave you support, reflect on the experiences which helped you grow, and savor the last moments in your role.